Welcome Home! 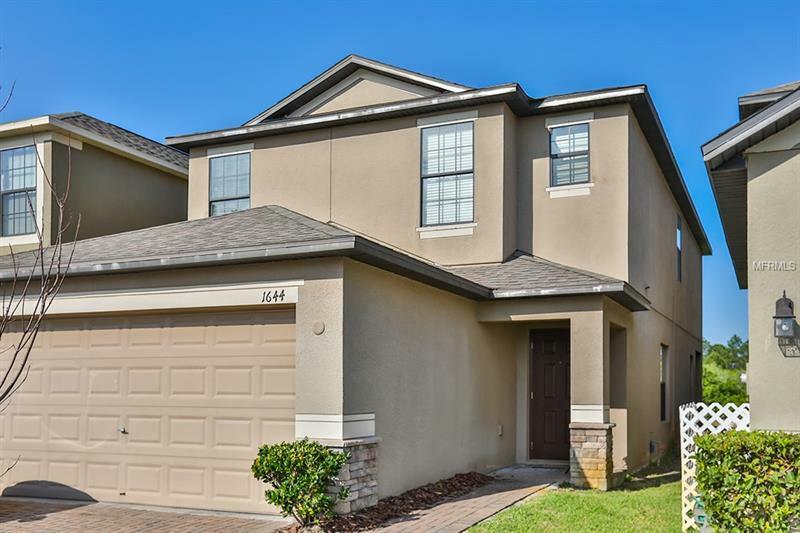 This 4 bed + loft 2.5 bath 2 car garage house located in the low-maintenance GATED community of Brandon Pointe is a must see! Built in 2013 this spacious 2128 sq ft two-story home offers a conservation view with no backyard neighbors an open floor plan a gorgeous kitchen & inside utility room. The large eat-in kitchen features stainless steel appliances granite countertops upgraded cabinetry a walk-in pantry and a center island. Upstairs you will find the loft space the master bedroom which boasts his & hers closets and an en suite bath complete with a garden tub and separate shower the three additional bedrooms and a guest bath. You will appreciate the convenient location minutes to schools/restaurants/shopping the Crosstown Expressway I-75 downtown Tampa & the TPA airport. Seller offering a $5000 carpet allowance at closing with accepted offer. Call today!